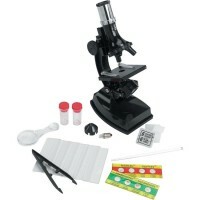 The small and easy to hold digital microscope is fully update to modern technology, USB powered and kids inspired. 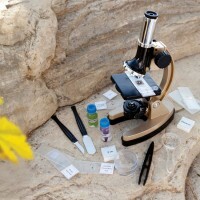 Explore the microscopic world around you! 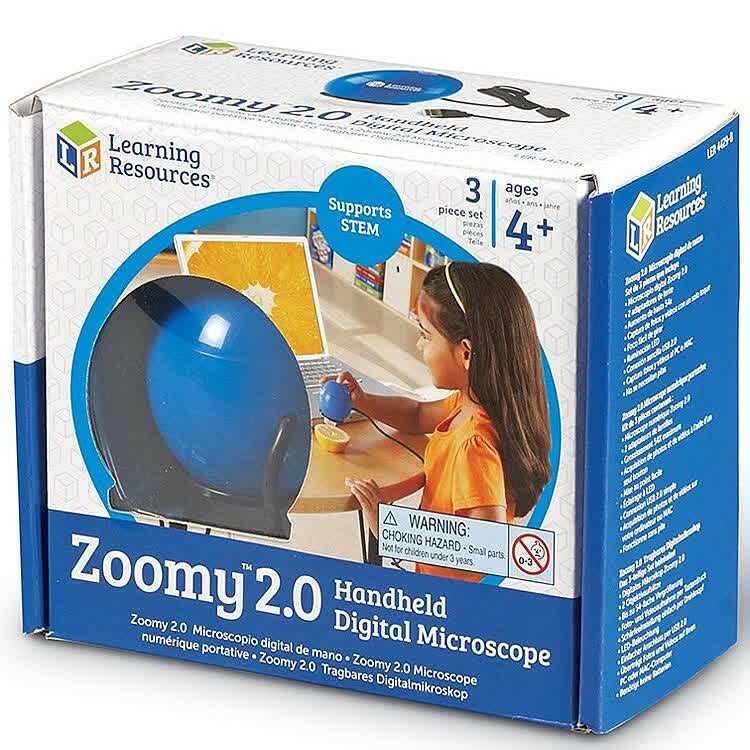 The updated 2.0 edition of the bestselling Zoomy digital microscope by Learning Resources is a cool techie toy perfect for little scientists of all ages. 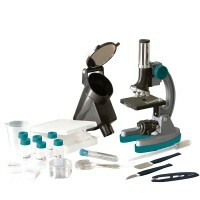 The small and easy to hold microscope is USB powered. 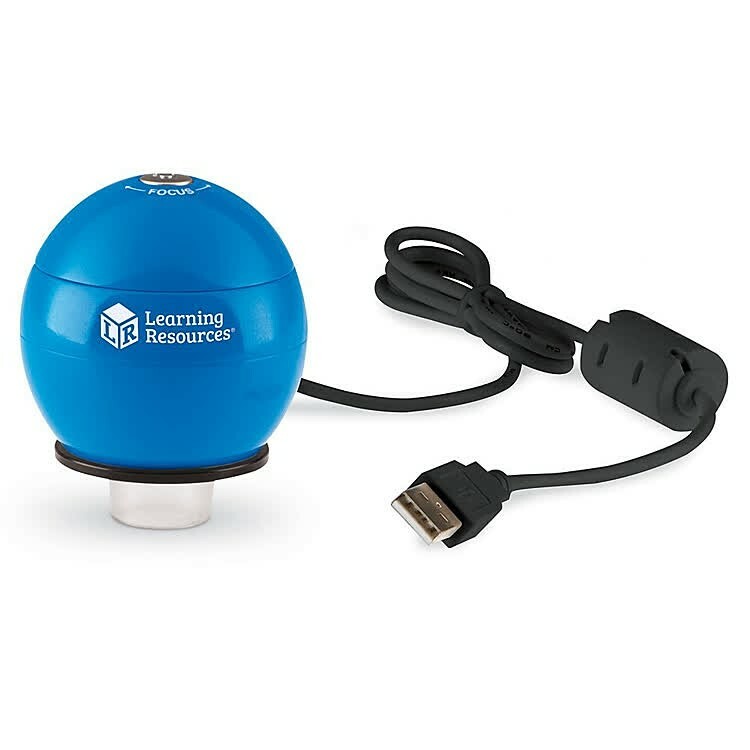 Simply attach the USB cord to any computer, projector or interactive whiteboard and the image your microscope sees will be enlarged on your personal screen. 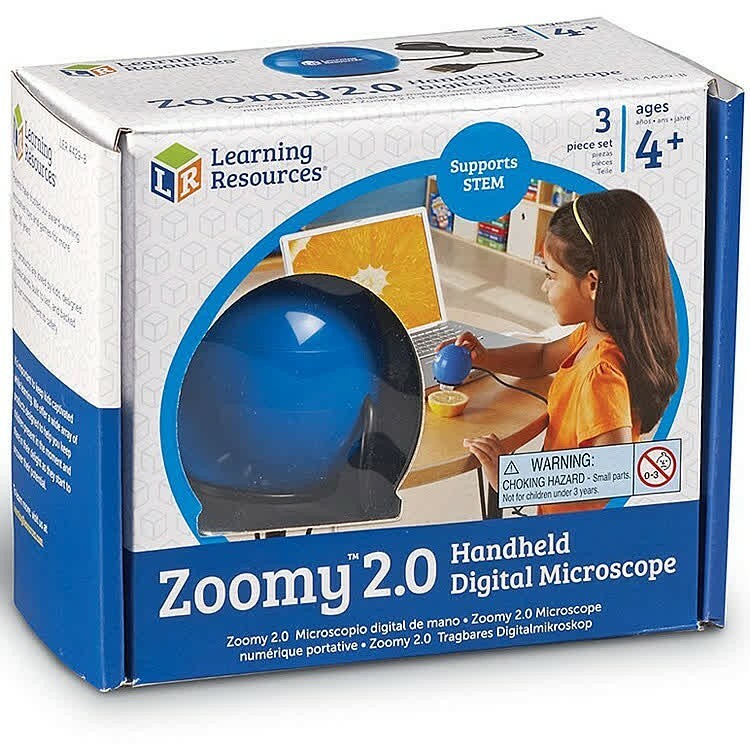 Zoomy 2.0 Handheld Digital Microscope is easy to use for capturing high quality still photos or recording video with up to 54x magnification and maximum photo resolution of 1600 x 1200 pixels. 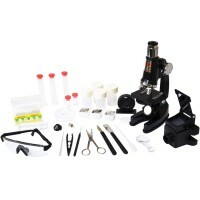 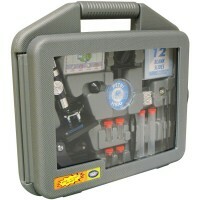 The digital microscope set features VGA CMOS sensor, 8 LED lights, and 2 lens adapters. 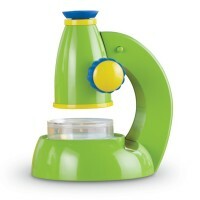 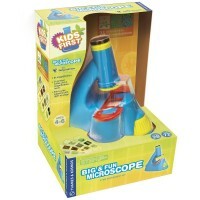 Educational Toys Planet's kids digital mini microscope is compatible with Mac and PC. 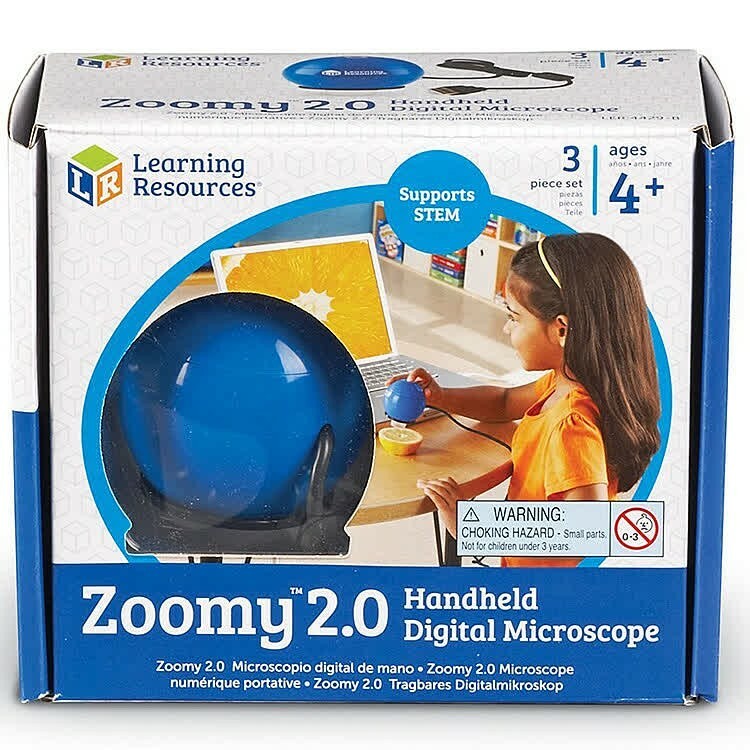 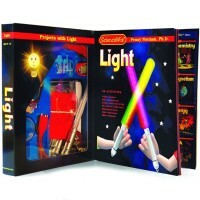 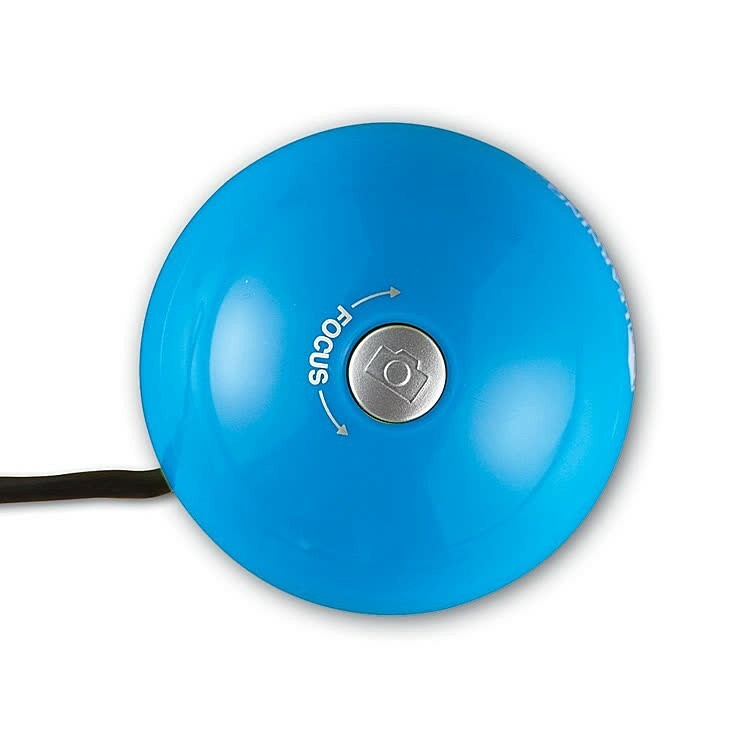 The modern science tool Zoomy 2.0 is perfect for science fair projects, classroom activities, or at home exploration! 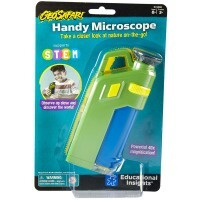 This bright blue handheld digital microscope measures 2.5 x 2.5 inches. 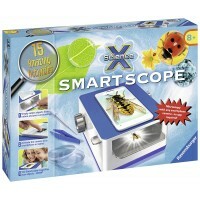 Dimensions of package 5.4" x 6.2" x 3.1"
Write your own review of Zoomy 2.0 Handheld Digital Microscope.